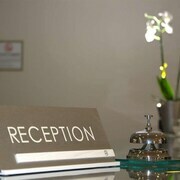 Lots of small comfortable luxurious touches, like good quality slippers, robes and toiletries. Great location. Wonderful service. Just beautiful all around. Where to find Canalicchio hotels near an airport? Where can I find hotels in Canalicchio that are near tourist attractions? Canalicchio is home to a variety of upscale and affordable places to sleep. 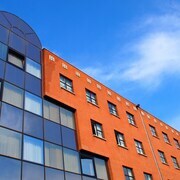 Currently, Expedia's extensive database lists 18 apartments and hotels within a short drive of Canalicchio's downtown. Among the more central lodgings of downtown Canalicchio are the Relais Il Canalicchio and Costa del Loco. 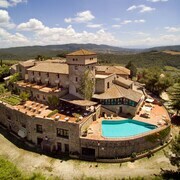 The Nun Assisi Relais Spa Museum is situated 19 kilometres (12 miles) from the middle of Canalicchio. Another hotel is the Borgobrufa Spa Resort, which can be found 12 kilometres (7 miles) away. 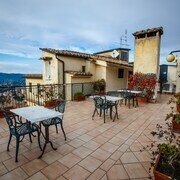 Two other hotel and apartment options here are the Palazzo Minciotti and the La Palazzetta del Vescovo. Spello is 19 kilometres (12 miles) to the east of Canalicchio and is home to the Porta Consolare and Church of Sant'Andrea. 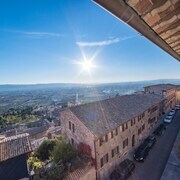 The Relais Metelli and Hotel Palazzo Bocci are a few of the fabulous Expedia-listed accommodation options in Spello. 35 kilometres (22 miles) to the northeast of Canalicchio, you'll find Nocera Umbra, which is home to the Hotel Fonte Angelica and Valle del Poggio. If you stay in Nocera Umbra, a couple of sights worth adding to your itinerary are the Civic Museum of San Francesco and Museo Archeologico Nocera Umbra. Before you head home from Perugia, ensure you experience some local sport. Visit PalaSojourner to the southeast of Canalicchio. 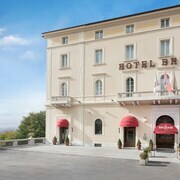 Book accommodation near the action at the Grande Albergo Quattro Stagioni or the Park Hotel Villa Potenziani. Are you after the most logical airport for your stay in Canalicchio? Falconara Airport is 100 kilometres (64 miles) drive away. What are the most popular Canalicchio hotels? Are there hotels in other cities near Canalicchio? 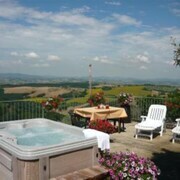 What other types of accommodations are available in Canalicchio? Explore Canalicchio with Expedia.ca’s Travel Guides to find the best flights, cars, holiday packages and more!